Spending an afternoon at the winery sipping French inspired wine, is a perfect way to escape the daily grind of life for a few hours. Whether you whisk your significant other way for a peace day of tasting wines, or grab a group of friends and have a fun-filled winery experience you’re to love your time at Brimstone Hill Vineyard & Winery. 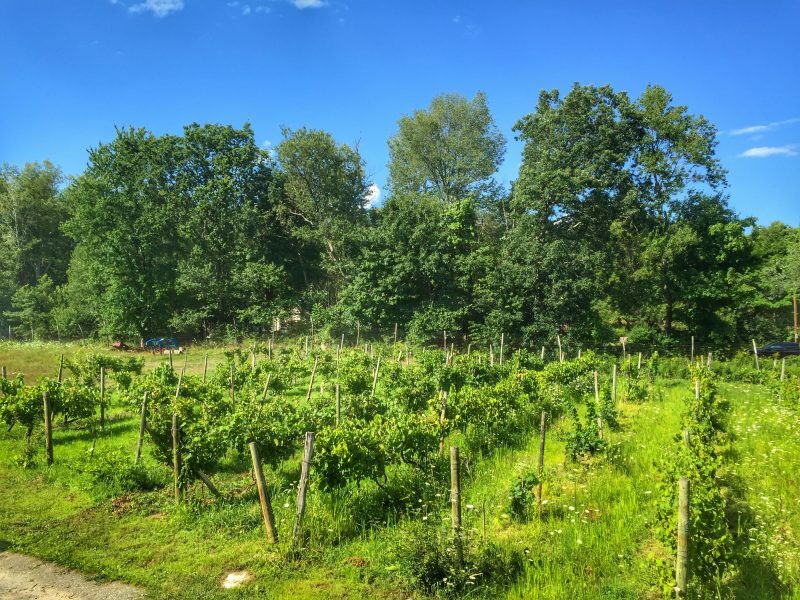 Located along the Shawangunk Wine trail, Brimstone Hill Vineyard & Winery was started by Richard and Valerie Eldridge in the spring of 1969 and was only four acres in size. In 1980 the Eldridge’s began by selling two wines; a 1979 Vin Rouge and a 1979 Vin Blanc. 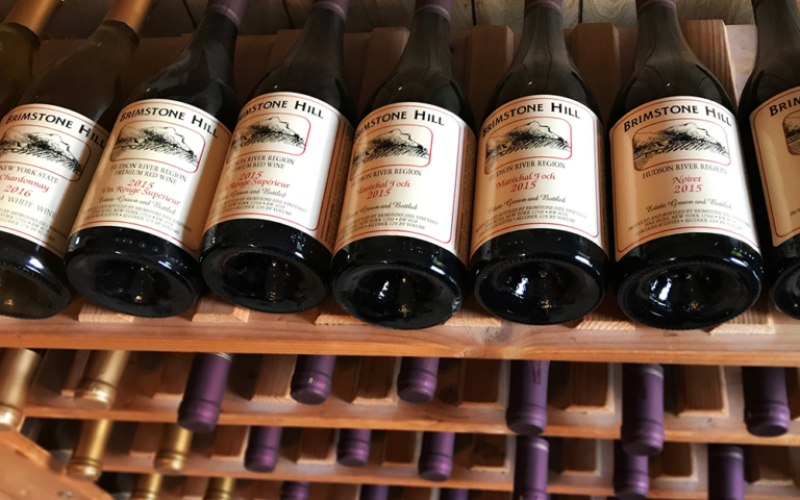 Today, the Brimstone Hill label boasts more than 8 wines, including a sparkling wine made in the traditional “Methode Champenoise”, a Chardonnay, a Cabernet Franc, and a Riesling. Today the winery has grown to over 13 acres and is also home to a cozy tasting room, where guests can overlook the vines. They also added a large pole barn to the property in recent years to accommodate the need for more storage and wine production. The barn is large enough for groups and parties up to 150 persons. The Eldridges aim to produce quality wines that have a French character to them, while still maintaining a price similar to the better products of the Loire Valley, Burgundy and Champagne. The vineyards French inspiration comes from Valerie’s background who is French by origin and grew up in an extended French winemaking family from the Loire Valley. The Eldridges plant various varieties of French hybrid grapes that were used since they opened the winery. Brimstone Hill Vineyard also hosts various special events throughout the year including their Valentines President’s Weekend Wine & Chocolate Event, Wine & Bites Weekend, Wine Tasting Passport, Fall in Love with our Wine and Bounty of the Hudson. Their tasting room is also open Saturdays and Sunday from 11:30am-5:30pm. This winery is an ideal place to visit couples and friends to gather and enjoy their many delicious wines. Enjoy a bit of France right in the Hudson Valley Region. Instead of concerning with yourself with driving, parking or designating a driver – allow us to take care of you. All you need to do is plan your day and if you want to make additional stops at other wineries and your mini-adventure can start from the moment you step into one of our limos. You’ll be able to sit back and relax while tasting one (or more!) 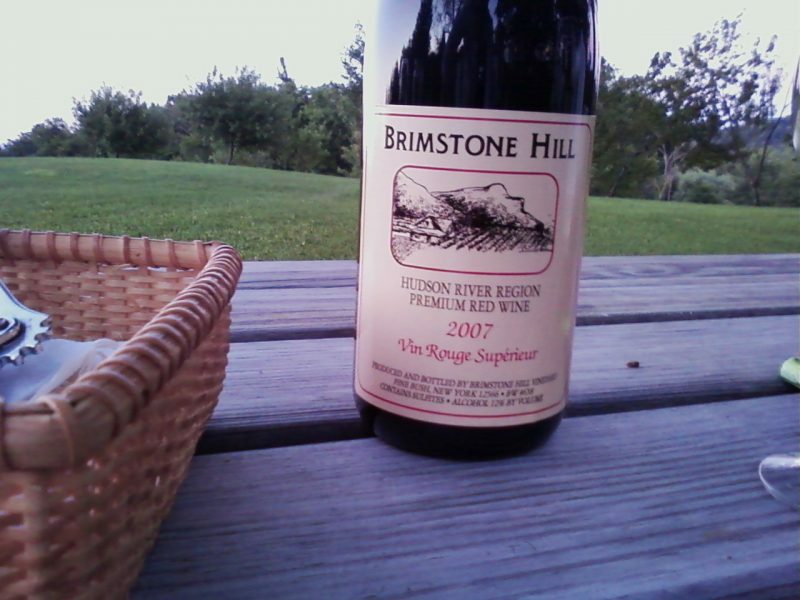 of many delicious wines offered at Brimstone Hill Vineyard & Winery.